It was tighter than perhaps Roger Federer would have liked, but the No. 1 player in the ATP Rankings still pushed his way past the confident and big-hitting Jeremy Chardy on Wednesday, and is now only one win away from matching his best start ever. 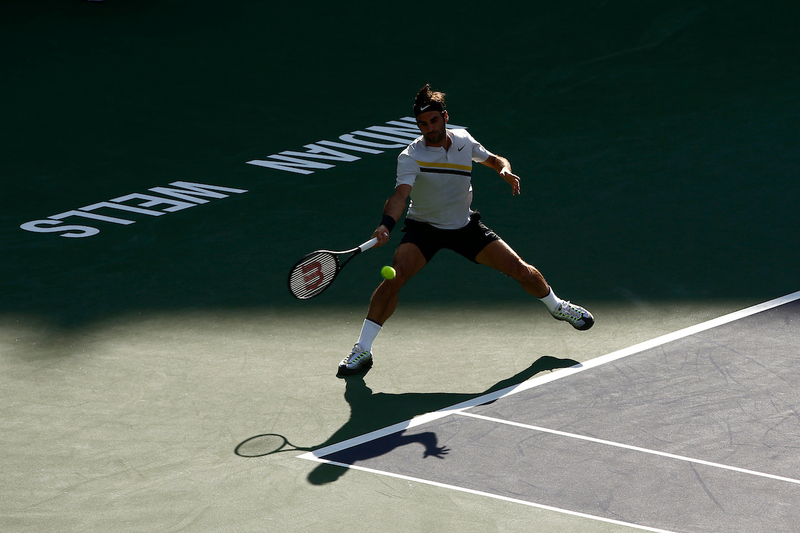 The 36-year-old Swiss was untouchable on serve at the BNP Paribas Open, winning 90 per cent of his service points (44/49), including 100 per cent of his first-serve points (25/25), to beat Chardy 7-5, 6-4 in a packed Stadium One. It's only the fifth time Federer has won a match (not by retirement) without losing a first-serve point. 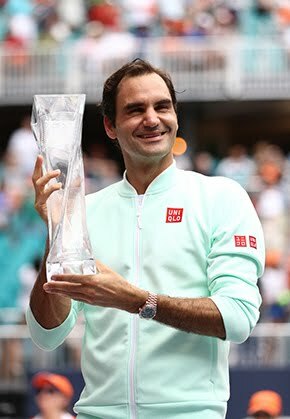 The five-time champion improved to 15-0 in 2018, with every match occurring on hard court. Even more remarkable, Federer has still lost only three sets this year (36-3 in sets). 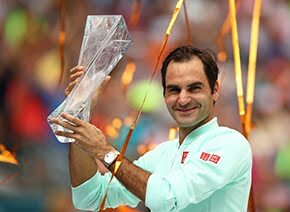 If he can repeat his Australian Open semi-final victory and beat Hyeon Chung of South Korea in the Indian Wells quarter-finals, Federer will match his previous best start to a season, which came in 2006, when he was 24 years old (16-0). “It's been great. But, look, it's a totally different year, many years after,” Federer said. “Felt like I found my range, my rhythm early in the year. So many years I felt good actually in Australia already. I don't know if it's Australia per se or taking the benefits from the hard work I put in into the new season. “Then also Rotterdam was great. I was very happy that I was able to win the tournament there, not just get to the semis and get World No. 1. So that was nice. Chardy was loaded with confidence ahead of their fourth-round tangle. In his second-round match, the Frenchman had come back from a set and 4-1 down to beat Italian Fabio Fognini, and he used that momentum to achieve his best showing in Indian Wells. But although Chardy played aggressively with his forehand and defended his serve well, erasing three of five break points, he could never find a way into Federer's service games. The top seed never faced a break point and broke exactly when he needed to - in the 11th game of the first set and in the ninth game in the second. His next opponent, Chung, has continued his impressive start to the season. The reigning Next Gen ATP Finals champion recorded his 15th win of the year by beating Uruguay's Pablo Cuevas 6-1, 6-3. Last year, Chung didn't reach 15 wins until the ATP World Tour Masters 1000 event in Montreal in August. Federer will go for win No. 61 at the BNP Paribas Open against Chung. He has now recorded 60 wins at six tournaments. Federer is one victory away from guaranteeing that he will maintain his No. 1 spot in the ATP Rankings next Monday. If he loses against Chung, the Swiss will fall to No. 2 and Rafael Nadal will regain the top spot.